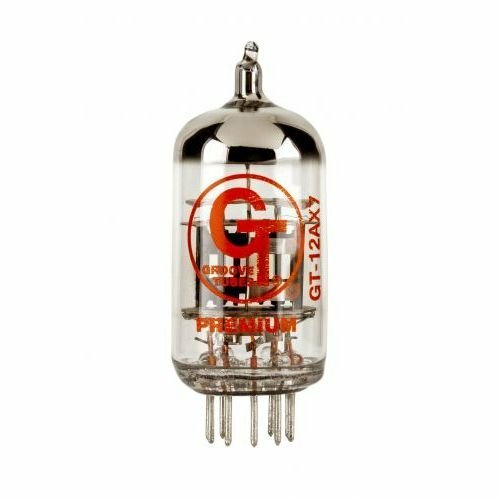 GT-12AX7-C tubes pass every Groove Tubes premium certification for micro phonics, hum, physical characteristics and function. Quite simply the best 9-pin triode preamp tubes you can buy - specifically designed and tested for musical instrument amplification and standard equipment on Fender amps. Outstanding and consistent performance for mixing and matching to get a signature tone from your amp. Great chiming tone with sweet, warm midrange excellent for Fender amps. Smooth distortion characteristics and one of the highest-output preamp tubes in the GT 12AX7 line, with very consistent quality. If you have any questions about this product by Groove Tubes, contact us by completing and submitting the form below. If you are looking for a specif part number, please include it with your message.